The original and still a firm favourite. 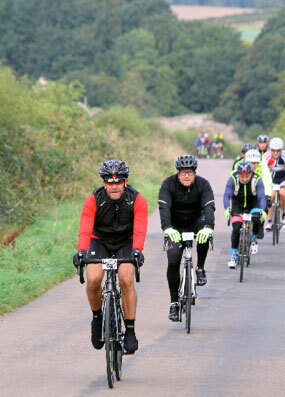 All in Northumberland with nominal distances of 100 and 50km. 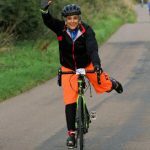 Starting and finishing in Wooler, Gateway to The Cheviots, The Wooler Wheel takes you on a circular tour through stunning scenery and challenging climbs. A cycle ride to be remembered through 8,000 years of history within beautiful Glendale, North Northumberland. 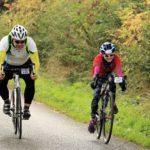 A great introduction for first time sportivers, but still demanding rides for experienced cyclists. A perfect way to wind down the season for elite cyclists. The timings from the Classic event are now available for download. 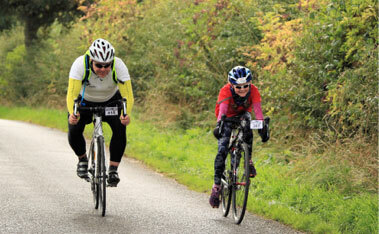 Fantastic sportive in a beautiful part of the country. Slap up feed afterwards, what more could you want! 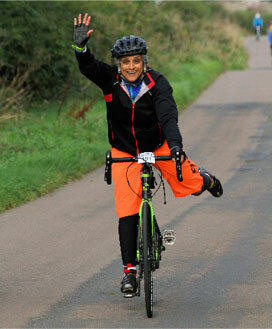 Did my first Wooler Wheel on Saturday and thoroughly enjoyed it! Looking forward to the next one already! Brilliant 1st time ride very well organised and definitely be back! Really well organised. Even the sun came out and did its part!! 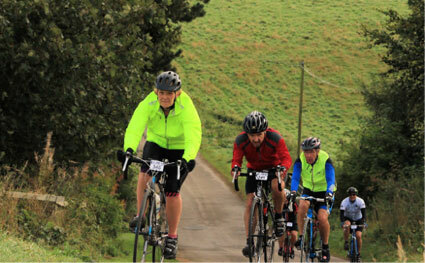 Great sportive, fantastic organisation and Scenery, just the right amount of lumps too. 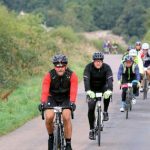 One of the best organised sportives I’ve ridden. From the organisation to the scenery to the friendliness of everyone involved to the lovely food at the end – what a fantastic event! Great route, t-shirt, organisation and steak pie. Having just returned home from today’s Wooler Wheel 100, I felt I must drop a line to thank the organisers, volunteers and caterers for a grand day out! Big thanks to all the organisers, what a fantastic event and a very big thank you to the lady who went home to fetch a spare helmet for me after I left mine 60 miles away. Yesterday’s event was the best by far. For once I could take in the scenery. Thanks to all involved in marshalling. Had a super morning. Another fabulous day – many thanks to the wonderful people who gave up their time to make this such a special event – typical Northumbrians! Another great event. Loved it. Thank you to everyone involved especially the team with the jelly babies after that hill climb! Wind down the season with the Classic 100km route, passing through some of the best historical sites in the county. 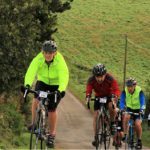 Ideal for the first time sportive rider, the Classic 50km still has a couple of challenging climbs.